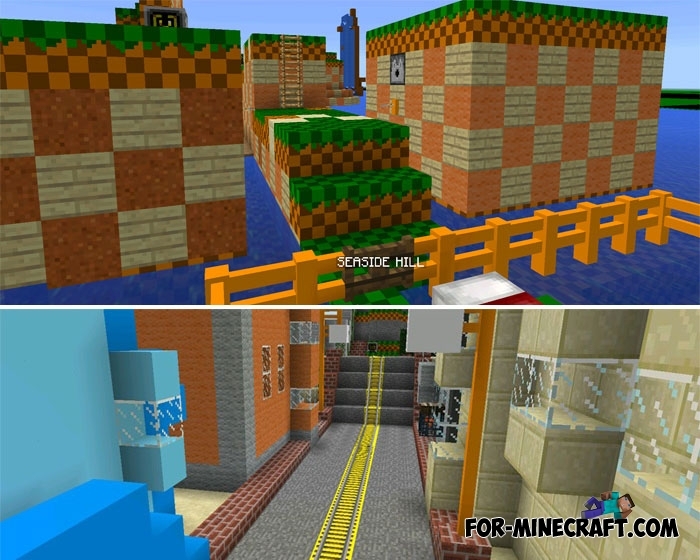 This is a very colorful map for Minecraft Bedrock with new sounds and textures in the Sonic style. If in the original game you need to run very fast and use different bonuses on the track, then here you will jump a lot and improve your parkour skill. The creator replaced many vanilla textures with very bright ones and also added sounds from Sonic Adventure that should be liked. Do not forget to sleep to save each level passed, in addition do not miss the chests, inside you can find many interesting and important things to pass. The use of creative mode is strictly prohibited.